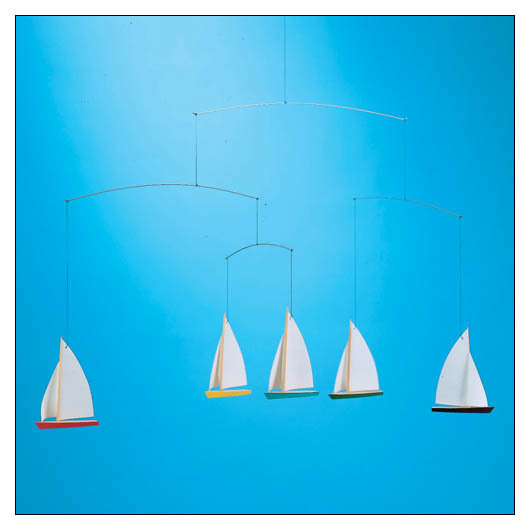 Dinghy Regatte 5-Boat Flensted Mobile (FM027) at Pure Design / Accessories / Flensted Mobiles ::: Furniture for the Home, Office, Home Office, and More at Pure Design Online! For all lovers of the blue blue sea, an ideal gift for millions of sailors. Beech wood. Summer dreams.